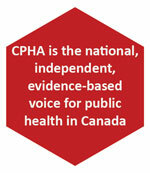 Founded in 1910, the Canadian Public Health Association (CPHA) is the independent voice for public health in Canada with links to the national and international communities. 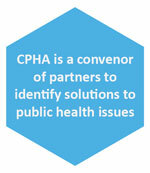 As the only Canadian non-governmental organization focused exclusively on public health, CPHA is uniquely positioned to advise decision-makers about healthy public policy and to guide initiatives to help safeguard the personal and community health of Canadians and people around the world. 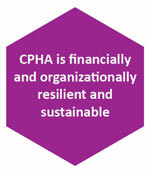 CPHA is a national, not-for-profit, voluntary membership-based association. CPHA's members believe in universal and equitable access to the basic conditions that are necessary to achieve health for all. CPHA will continue to model values of transparency and accountability and therefore, this plan will be outcomes-focused, identifying specific measures and indicators wherever possible. The proposed objectives must be aligned with the financial realities of the organization at present and for the foreseeable future. 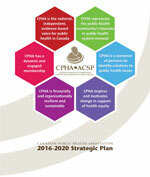 Building on its well-established status and unique history, CPHA will continue to leverage its credibility as a force for change in the public health system and the broader domain of healthy public policy. Public health continues to be a domain with inter-jurisdictional accountability. 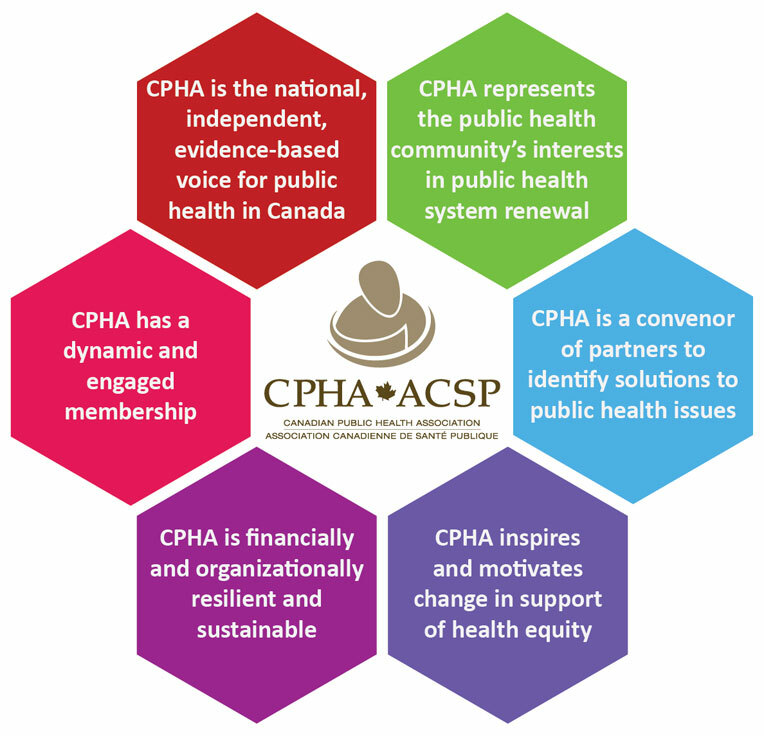 While CPHA has a critical national-level policy role to play, the organization remains committed to working collaboratively with other like-minded, traditional and non-traditional stakeholders to improve the health of people across Canada and internationally. collaborations with a broad range of groups, networks, coalitions and its members. 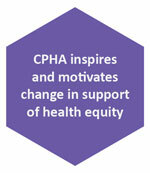 CPHA's mission is to enhance the health of people in Canada and to contribute to a healthier and more equitable world. On an annual basis, the environmental conditions and assumptions behind the strategic plan will be reviewed. Should these assumptions change markedly, the goals will be adjusted accordingly. 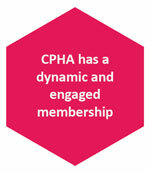 Membership in CPHA is voluntary. Together, our members represent a wide range of disciplines and professions, encompassing the breadth and depth of the Association's work on issues of significance to public health's front line and at the national level. Our members are engaged in the development of evidence-informed policy alternatives and in advocating for their adoption by decision-makers. They support and mentor their colleagues and new practitioners and share their collective knowledge within and across sectors. They are actively engaged in the governance of CPHA and in the various activities organized by the Association. CPHA advocates for the improvement and maintenance of personal and community health through the development of policy alternatives based on the best available qualitative and quantitative evidence. As a membership-based organization, CPHA responds to issues of concern to the Canadian public and public health community. These issues are often broad and varied and are not associated with any single discipline; there are a variety of opportunities and venues for stakeholders interested in CPHA's public health positions and policies. CPHA engages a broad range of researchers and practitioners to ensure the integrity and relevance of all of its position statements, policies and advocacy activities. 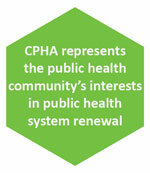 As the only national, non-governmental organization focused exclusively on the broad range of public health issues and practices, CPHA is uniquely positioned to advise decision-makers on and advocate for public health system reform in support of the public health community's interests. In order to preserve, renew and strengthen the public health system and practice, CPHA collaborates with a wide range of public health organizations in the accomplishment of this goal. CPHA works with various partners and stakeholders to support the development and dissemination of public health initiatives and evidence-based policy alternatives. This work is accomplished through both bilateral (one-on-one) and multilateral (networks) relationships with like-minded, traditional and non-traditional partner organizations. The pursuit of good health and health equity is a continual process of creating opportunities and putting into place the socio-economic, ecosystem, political and structural means to support their attainment. CPHA is committed to sustained action that leads to improvement in health equity in partnership with other organizations. The Association understands resilience and organizational agility are fundamental to how it conducts business and establishes appropriate business practices to support a flourishing business model. The sustainability of the Association goes beyond finances and CPHA must ensure that the necessary infrastructure is in place for it to accomplish its mission. * CJPH is an independent entity and the key performance indicator is determined by the Editorial Board.